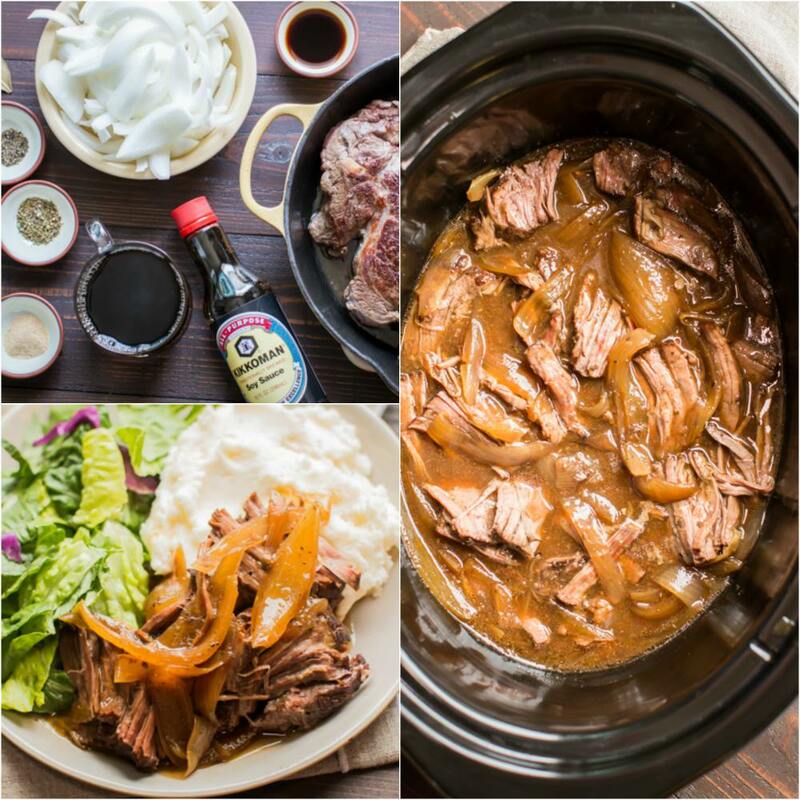 A few ingredients you wouldn’t expect go into this recipe for Slow Cooker Amish Pot Roast! As you may already know I love trying new recipes. I found this recipe online and had to give it a try. The coffee isn’t a big noticeable flavor in this recipe. The soy sauce, coffee and Worcestershire sauce along with the beef is surprisingly tasty. 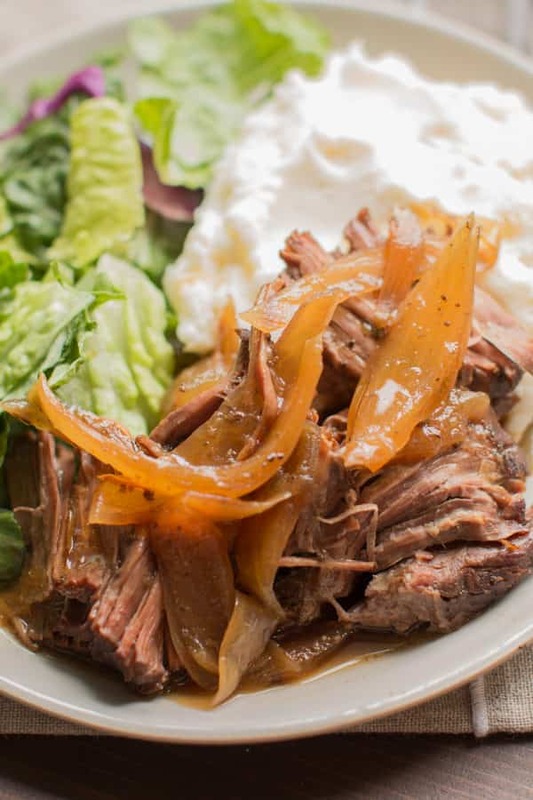 Another great thing about this meal, is that besides the roast, pretty much all the other ingredients are normal pantry items I usually have on hand. 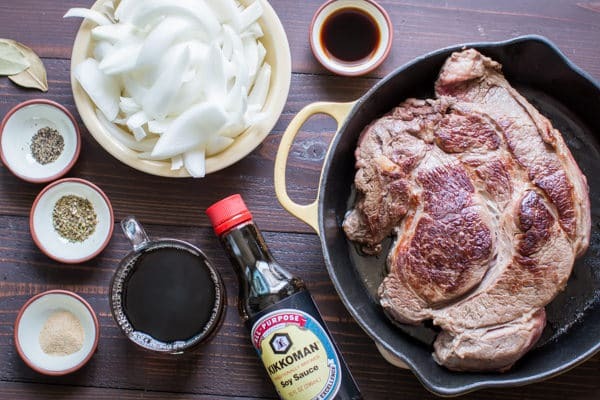 I start by browning a chuck roast in a skillet on the stove-top, then I add the roast, seasonings, soy sauce, coffee, Worcestershire sauce, onion and bay leaves on top. 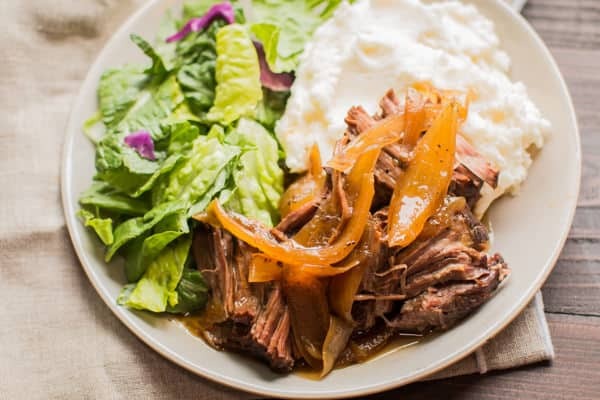 The Worcestershire sauce is my addition to this recipe, I thought it would add a little tang and lend a little more flavor to the sauce combination. I served this roast and sauce with mashed potatoes, though I know this would be really good with rice instead. Here is my YouTube video of the making of the meal. You can follow me on YouTube, here. Have a great week! 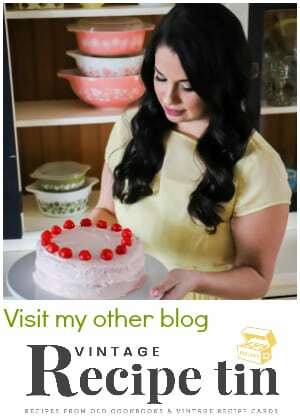 I will be back at the end of the week with a new recipe for you. In a large skillet set to medium-high heat, add the cooking oil. When the oil is hot brown the roast on both sides. 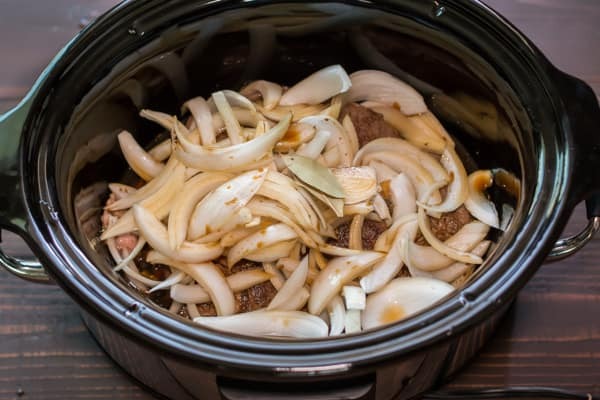 Add the roast to the slow cooker. Sprinkle the pepper, oregano, and garlic powder on the roast. Add the onions and bay leaves. Pour over the coffee, Worcestershire sauce, and soy sauce. Cover and cook on LOW for 9 hours without opening the lid during the cooking time. Remove meat and place on a plate and cover with foil. To remove the grease from the sauce I lay over a paper towel over the top of the liquid and then pull up quickly, and discard the paper towel. In a small bowl combine the water and cornstarch, whisk with a fork until smooth. Pour this mixture into the broth and onions in the slow cooker and stir. 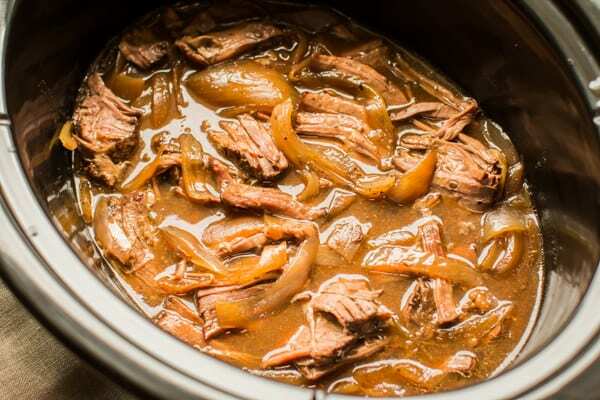 Cover the slow cooker again for about 20 more minutes with the temperature set to high. 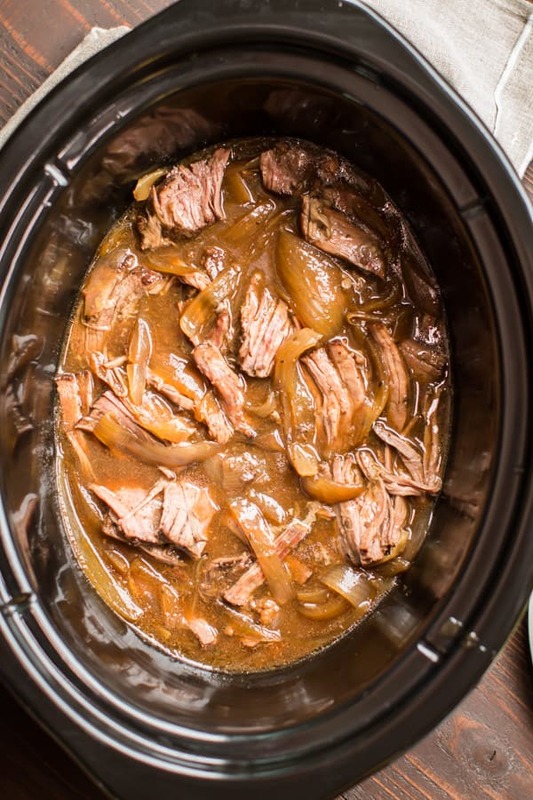 After the sauce has thickened, shred the meat and add into the broth in the slow cooker. 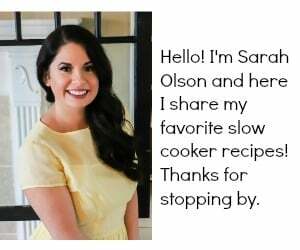 I used my 6.5 quart touchscreen Crock-Pot® for this recipe, though any 6-quart or larger slow cooker will work fine. The original recipe instructs to cook in an oven, so maybe this was adapted from an Amish recipe. Anyway, sounds interesting. I’ll give it a try! Yes! I hope you try it! How can it be Amish they do not cook with electricity. I lived in Amish country they did not have wires going to their homes. It must be a rendition of the dish. That’s what it is Donella. This was a HUGE success in our home! 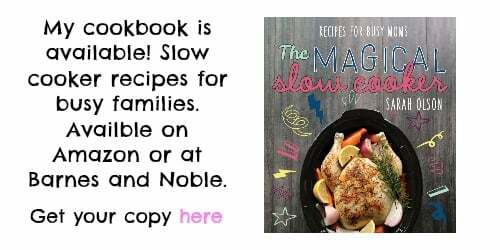 Love the recipe! Thanks for coming back and letting me know! May I cook on high for half the time? I am currently preparing multiple meals for the week. Thank you. I would do 6 hours on high myself. I don’t think 4.5 would be enough. Does the caffeine cook out of the coffee or do you use decaf? I looked it up. Caffeine doesn’t cook out of food. Use decaf if needed. Is there something else that can be substituted for the coffee? Which is my main question, Do Amish even drink coffee?! I thought the caffeine would eliminate it from their diets. It’s Mormons who don’t drink coffee. 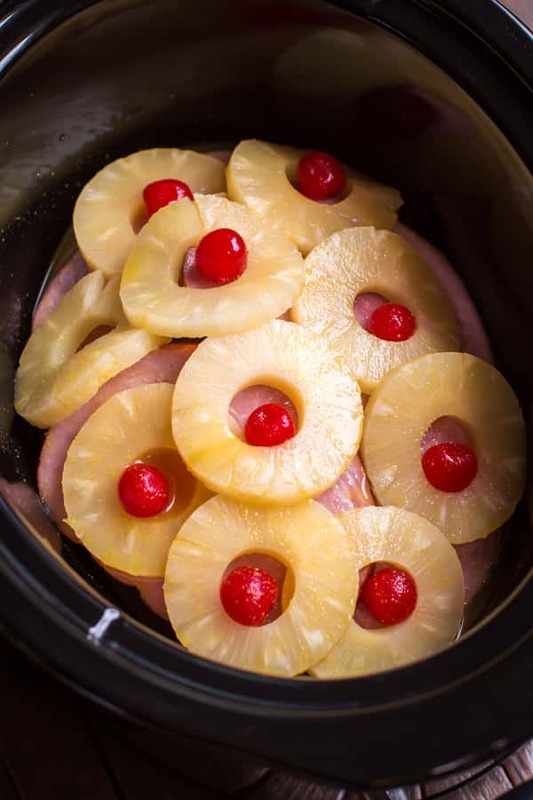 This is just a modified recipe I found, it may not be 100% authentic. 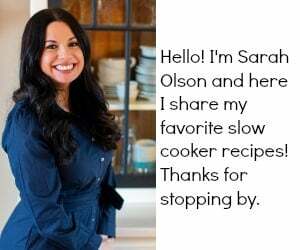 Sarah, your recipe was delicious! I cannot believe the people who just picked on the anti-Amish issues!! I’m sorry for that. The point is, you have a great recipe here and I thank you! I think you will love it Dan! Made it tonight, husband loves it! I have made this 2 times now and it is Delicious. sorry for all the people who cant look past the name Armish because they didnt have electricity. really is that your complaint have you tried it before mocking it.